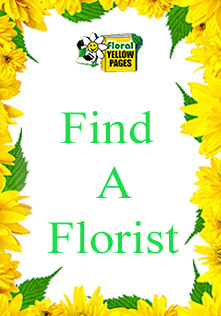 Florist Directories - Floral Yellow Pages is the largest directory on the web. Florist directories, now there are a lot of directories out there that claim they provide what the consumers are looking for. But that's far from the truth I have ran across a lot of florist directories that emails , links, and phone numbers don't work. When you run into this issue you come visit floral yellow pages and see how everything is updated on a daily basis. Florists listed in our directory always keep us updated with all the new things they want people to know about. For example price changes, new photos, or monthly discounts. A directory is supposed to make searching easy and at the same time beneficial. Floral Yellow Pages is the one and only directory that gives you all that and then some. We making searching as simple as putting in your zip code and enter there go your results. I haven't ran across a site that even competes with floral yellow pages in design or user friendly. Our directory gives the consumers all they need at his or her finger tips.